...I got all my sisters with me! 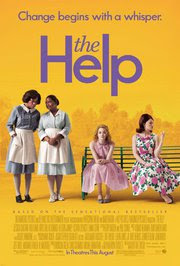 I saw The Help tonight. Have you seen it? What did you think? I really loved it. It was definitely a lot more heavy then I was expecting, but racism is a heavy subject. Nothing can get me fired up quite like racism. People's ignorance boggles my mind and it makes me all jumpy inside. That's the only way I can express it. Jumpy, like it makes me want to fight, if I knew how. I have no authority to speak on the ugliness of race relations. I am sure I can't even fathom all the injustices. Your value doesn't come from the color of your skin. That would be absurd, wouldn't it? OK, I want you all to see it, so we can talk about it! We were continuing the celebration of Kelly turning 40! 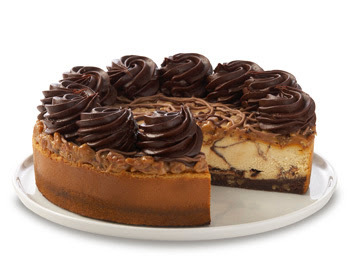 Before the movie, we ate at the Cheesecake Factory! Delish! I didn't eat the whole thing, just a piece. Heavenly. Then we saw the movie and I got all jumpy inside. We all loved it, and talked about it the whole way home. Katie was asleep when I left because she was napping. And she was already asleep for the night when I got home. I am dying to get my hands on her! I have the monitor next to me right now and I have looked at her a million times. I guess I have to wait until the morning for our sweet reunion. Hopefully, not before 8:30! Woah, twin! Just last night I went out with girlfriends to the Cheesecake Factory and then walked across the street to see that movie! Was the theater packed for y'all, too? I really liked the movie...but I liked the book even better! The movie made me cry - more than once!! Haven't saw the movie but I have read the book. And like you said ignorance boggles my mind. I don't know if I want to see the movie. They usually ruin the book for me. Haven't seen the movie yet, but read the book. Just did a post on Kathryn Stockett today - did you know she was rejected 60 times before finding a publisher willing to take her book? It takes courage to follow our unique passion, and we can all be inspired to never give in to the shame of rejection. Or the ignorance of racism. LOVED the book. Can't WAIT to see the movie!!! I LOVED the book! I haven't seen the movie yet, but I hope to soon! I saw it over the weekend. LOVED it! The scene with the rosebushes really got me. I hadn't read the book first, but now I want to! LOVED the book, liked a movie. For me the movie skipped some of the best parts.